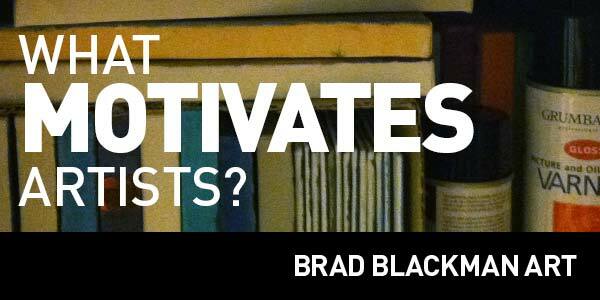 (AUDIO) How do you find motivation as an artist? 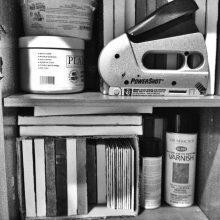 In another audio edition of my blog, I was thinking about some of the things that motivate artists. Of course, I speak best from my own experience, so the things that motivate might not be what motivate other artists. But I might be surprised! Initially, I thought I might re-record this, but I think it came out all right! What motivates me to make art? My parents encouraged me a lot, but they didn’t try to steer me into one direction or another. They let me explore. Swim lessons, comic books, track, art lessons. I landed on graphic design and fine art. I didn’t start painting until I was in college. I drew from the time I was 2 years old but painting wasn’t something I ever tried until college. My motivation comes from some inner urge to make something. I think that is something that comes from God, as I am made in His image. God is the ultimate creator, and I create as well. We make art because we believe our life matters in some way, and we are leaving a mark on this world to say that we were here. It’s easy to get discouraged when you feel like your art isn’t good enough or that nobody will be interested. When that happens, step back and take a break to find something that inspire you. Things like color, texture, flavors, music, books, Scripture all motivate and inspire me to get out of my stuckness. Otherwise the motivation comes from somewhere within me. The making often is the reward. It’s a self-rewarding process. This is why it is hard to put a price on your art. You’ve already been rewarded for doing the work since the work is the reward in itself. But we all gotta eat and pay the bills! Well there you have it. Those are my thoughts on what motivates artists, or rather, me. What motivates you? I’d love to know!